It is coming up to the time of year when nature grows solemn and the year is drawing to a close. So, instead of my usual ramblings about hair, make up and such, I thought I would use my blog to share the other passion in my life. If you didn’t know already, I am a veterinary nurse – for as long as I can remember, animals have meant so much to me and I am so privileged to be able to do something I love, to provide help and care for animals that need it most. Appropriately, my love of animals and, in a way, vintage/history is coming together on my blog, as I want to talk about the animals during wartimes. Of course, on Armistice Day, we should all take a pause to remember the human lives given to protect our freedom during World War One and all the wars that have taken place, but animals also had and still have a big part to play in war time. Although they were a large help to the war effort, it is also important to consider them victims of war – they are such innocent creatures. The obvious one to mention is of course the cavalry and their horses – being ridden into battle, as well as pulling guns and machinery in harsh conditions. 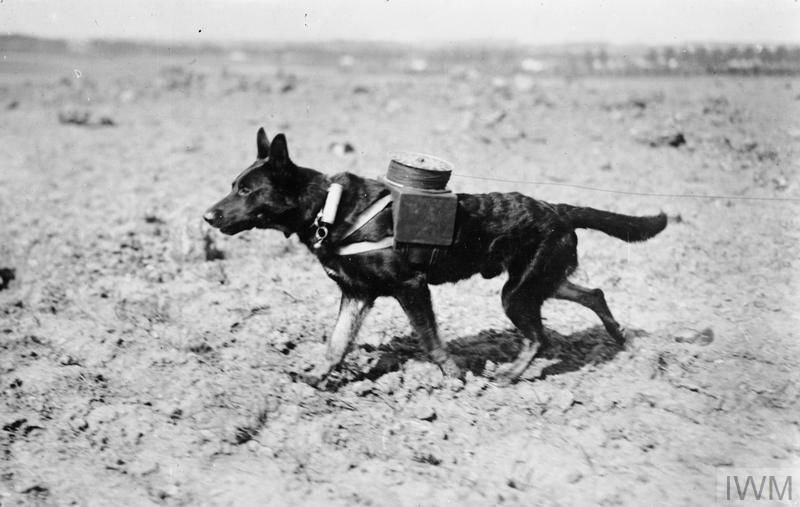 Dogs have always had their presence on the battlefield; their skills have been finely tuned in present day and of course are used to detect bombs, but in the first world war, they were used to find and retrieve wounded soldiers, send messages, lay telephone wires, hunt rats and vermin in the trenches, among other things. Other animals to note are camels (who did many things a horse would be used for, but in the heat of the desert), elephants, donkeys, pigeons, canaries and cats were all used during the first world war. Over 16 million animals served in this war, whether it be for transport, communication or companionship. These animals cannot comprehend war but those horses rode into battle without hesitation, those dogs searched for the wounded amongst the explosions. They should be remembered also. I thought I would take this time, as I am a crazy cat lady, to also share this particular story about a cat named Simon. You may have heard about Simon the cat, who has been written about many times. 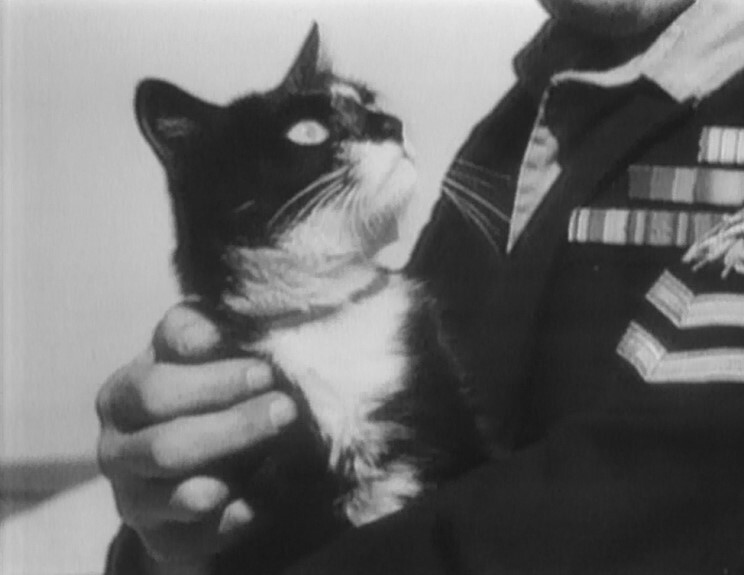 If you haven’t, it is a perfect example of the cats used during war time – even though this is not actually a world war one story! The information I am sharing is scattered across the internet but mainly sourced from Wikipedia and from my own recollection. Simon was originally found as a young cat on the docks of Hong Kong, by a young seaman who was stationed on the HMS Amethyst. 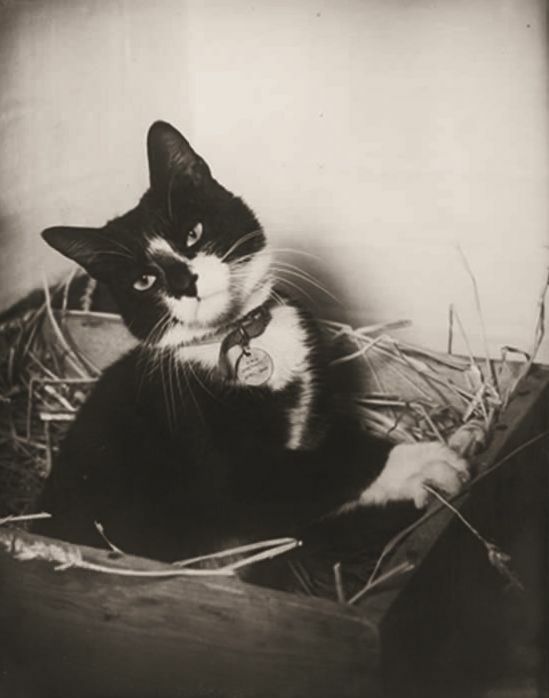 Simon was malnourished and unwell, so the seaman, George Hickinbottom, smuggled Simon aboard the ship – the young cat became quite popular among the crew as he was a particularly good rat hunter! Simon raised morale among the crew, as well as protecting the food store from the rats and so became a mascot for the ship. It is said that Simon gained a reputation of leaving ‘presents’ of dead rats in sailors beds and sleeping in the captains cap! Later in 1948, the Amethyst was travelling up the Yangtze River in China to relieve the HMS Consort of her duties, where the Amethyst came under fire by the Chinese Communists. One of the first rounds hit the captains cabin, fatally wounding the captain, as well as the shrapnel seriously wounding Simon. It is said that Simon dragged himself on to the deck, where he was rushed to the medical bay. He had a poor prognosis, but against the odds he rallied round and became a celebrity in the british news back home and around the world. He made the journey back to the UK, finally docking in Plymouth in November 1949, where he was awarded the PDSA Dickin Medal, known as the ‘Animal Victoria Cross’, to acknowledge the actions of gallantry or devotion in conflicts from the second world war onwards. He was also awarded the Blue Cross Medal, the Amethyst Campaign medal, as well as being given the rank of ‘Able Seacat’. Sadly, he passed away shortly after his return to the UK, due to an infection caused by his war wounds. A big funeral was held in his honour and was attended by the entire crew of the HMS Amethyst and is buried in the PDSA Ilford Animal Cemetery, near London. He had a brief life, but it was a memorable and adventurous one. Prev Roaring 20’s Get Ready With Me!